In the course of researching and writing guidebooks, I often hear that I have the ideal job, staying at the best hotels and eating at the finest restaurants. The reality, though, is that spending several months every year without sleeping in the same bed more than two or three nights in a row can be exhausting, and those are rarely the “best hotels” – more often than not, I’m in a campground, a modest B&B, a friend's spare room, or even sleeping in the car. I can’t afford to eat gourmet meals every day, either, and even if I could, there’s a limit to how much I can eat in any one day – for reasons of health, comfort and cost. 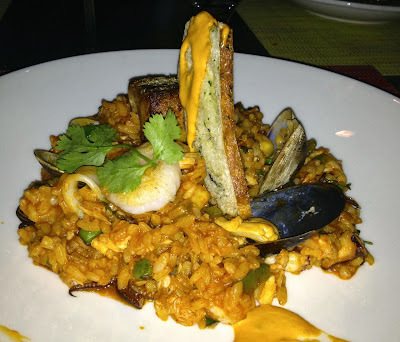 Food critics, of course, will eat at a given restaurant multiple before evaluating it, but I rarely have that luxury and have to rely on local contacts to confirm or supplement my own observations. 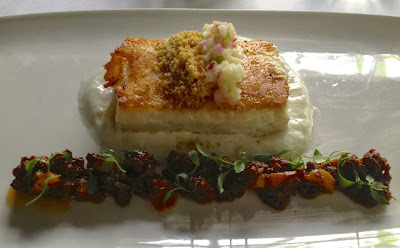 All that said, I was amused to learn that, according to a Restaurant magazine survey, I have eaten at quite a few of Latin America’s 50 best restaurants. Most of those are in Peru (home to the continent's finest food but where, unfortunately, I visit only to change planes) and Argentina (mostly in BuenosAires, where I spend a lot of time). Anyway, here’s a brief rundown on the ones of which I have personal experience. 1. 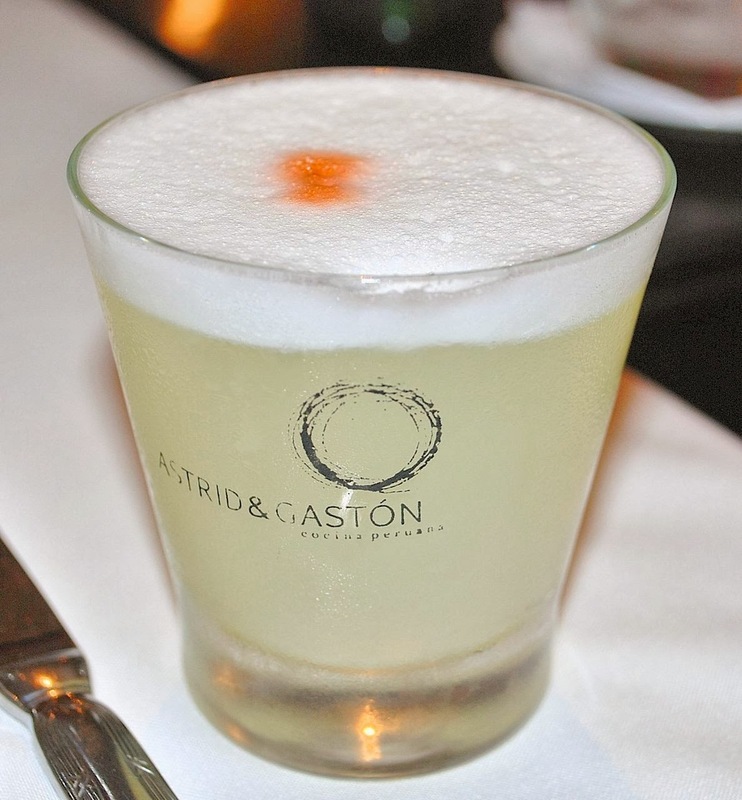 Astrid y Gastón, Lima: I’m fudging this a little, because I’ve only been to the Buenos Aires branch of the restaurant, which closed recently, but I hear that Peruvian restaurateur Gastón Acurio has something else planned for the Argentine capital. Meanwhile, there is another branch in Santiago, which I will visit several times over the coming months (the city, not necessarily the restaurant). 9. 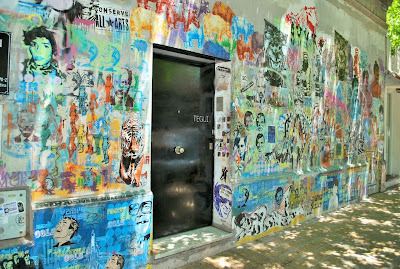 Tegui, Buenos Aires: In the barrio of Palermo, behind a concrete wall covered with stickers and graffiti, an inconspicuous black door opens onto a luminous dining room that serves the contemporary cuisine for which chef Germán Martitegui has become famous, such merluza negra (“black hake,” or Patagonian toothfish commonly known as “Chilean sea bass”), pictured below. 15. La Mar, Lima: I’m fudging again, because I’ve only been to the San Francisco branch of Acurio’s ceviche specialist, which has a great happy hour with excellent empanadas. It’s worth staying for dinner, as the risotto below suggests. 17. 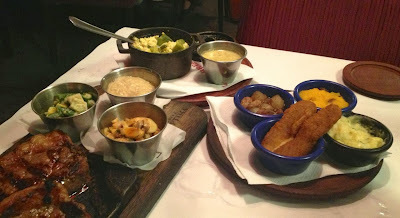 La Cabrera, Buenos Aires: Palermo’s La Cabrera has drawn some scorn for its flagrant tourist appeal, but I greatly enjoyed the side dishes that complement its traditional meats (pictured below). 27. Oviedo, Buenos Aires: This is one of the more traditional Argentine restaurants to appear on the list, with a well-prepared menu of fish, beef, risotto and pasta. Its Barrio Norte location is very central for most visitors to the city. 29. 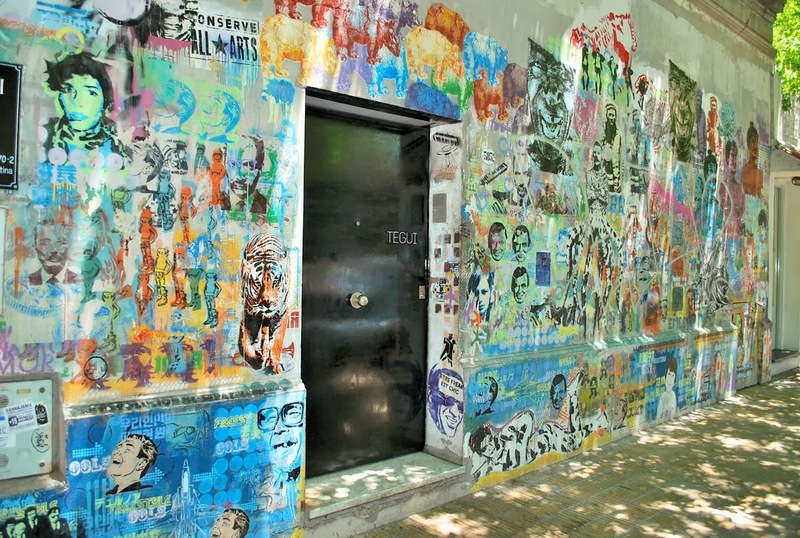 Sucre, Buenos Aires: In the outlying barrio of Belgrano, Sucre (pictured above) is a contemporary version of the Argentine grill restaurant, with a wide selection of wines and tapas as well. 33. 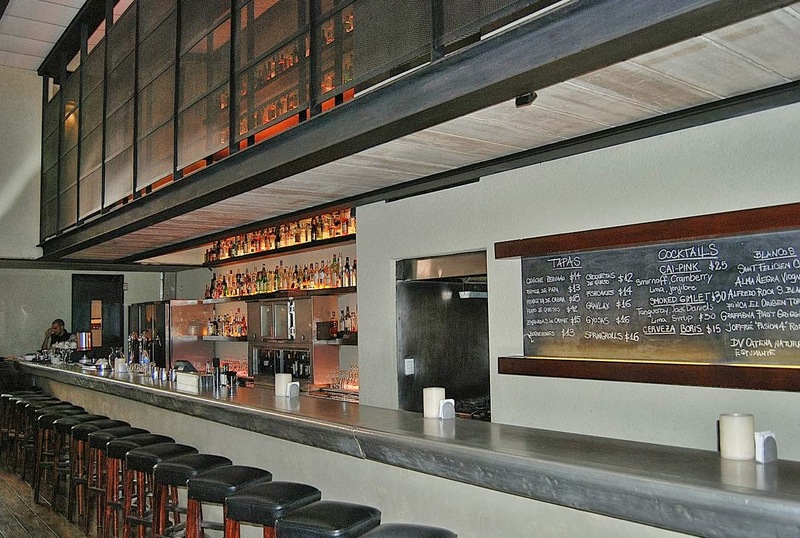 Pura Tierra, Buenos Aires: Also in Belgrano, but easily accessible by public transportation, this is a sophisticated but unpretentious restaurant that’s my own personal favorite in the city. The wine selection is truly special. 37. 1884, Mendoza: The only Argentine restaurant outside Buenos Aires to appear on the list, 1884 was the first project of celebrity chef Francis Mallmann. 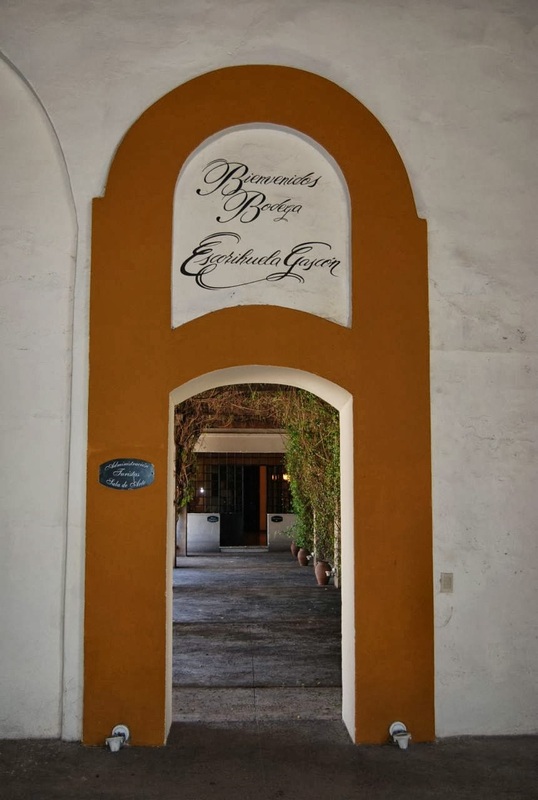 I’ve not been there for several years, but I don’t doubt its continued quality, and its location within the Escorihuela Gascón winery (pictured above) is a plus. 39. 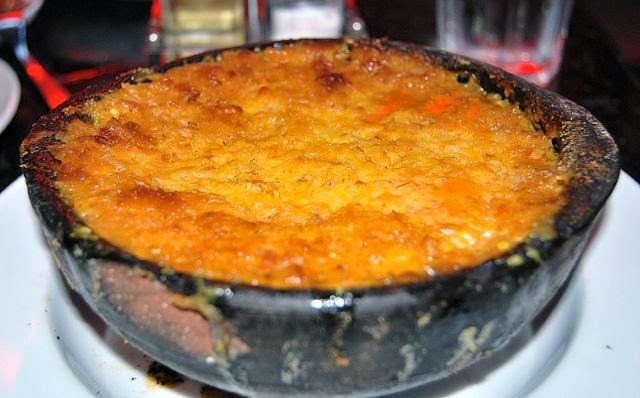 El Baqueano, Buenos Aires: In the barrio of San Telmo, El Baqueano is the place to try a tasting menu that may include game dishes such as yacaré (cayman, pictured above) and carpincho (capybara) from the wetlands of subtropical northern Argentina. 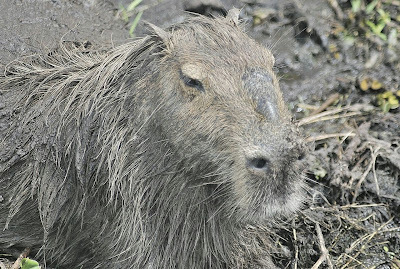 Pictured below, the latter is the world's largest rodent, roughly the size of a Rottweiler. Only two Chilean restaurants appear on the list, both of them in Santiago, and I’ve never eaten at either of them. One of them is No. 8 Boragó, which stresses indigenous Chilean ingredients; the other is No. 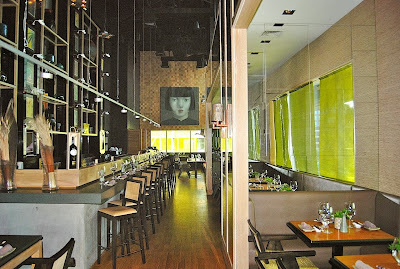 48 Osaka (pictured below), a Japanese restaurant in the W Hotel. I have actually visited the latter, whose representative barely flinched when I asked facetiously whether their any-pets policy would apply to my theoretical howler monkey (I don't own any pet primates, and would not do so). As I prepare to update the current edition of Moon Handbooks Patagonia, for which I will head south in November, I’ve also been doing a desk update of the current edition of my National Geographic Traveler guide to Argentina (for those who care about such things, I get royalties from the former, but only a flat fee from the latter). In the process, I’ve been making plenty of phone calls to Argentina, thankful that the price of telecommunications has dropped so dramatically over the past decade. I don’t use Skype, which I find annoying, but my own Internet provider offers exceptionally good discount rates on my landline. 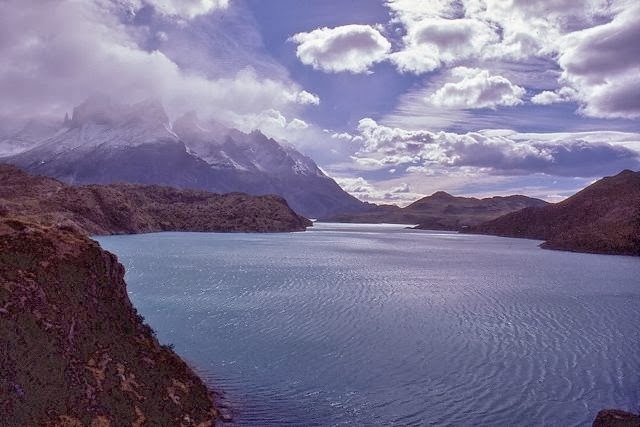 Many times, on this blog, I have remarked on issues of discriminatory pricing against foreigners, most often in Argentina but occasionally in Chile as well. In one major sector, though, Chile does the opposite: bona fide foreign tourists can stay at Chilean hotels without paying the 19 percent impuesto de valor agregado (IVA, Value Added Tax or VAT in Britain and some other English-speaking countries). That means that a US$100 hotel costs only US$81, if paid in foreign cash or by non-Chilean credit card. Chile’s rationale, which I find a little peculiar, is that hotel rooms rented to non-Chileans are “for export” and, thus, exempt from a domestic tax. While I’ve used that loophole to my own advantage on occasion – call me hypocritical if you wish – I still find it puzzlingly inappropriate. In principle, I feel that everybody should pay the same rate, just as they should for admission to museums, national parks and other attractions. In Argentina, historically, hotels have often charged foreigners higher rates than locals or Argentines. That’s changing, though, as a function of the confusing and inept exchange controls instituted by the government of president Cristina Fernández de Kirchner. 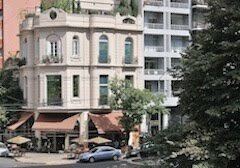 Several times, in speaking with hotels in Argentina, I’ve asked their current rates; then, I’ve asked whether they offer cash discounts, and many do – up to 20 percent. Then I ask whether there are discounts for paying in foreign currency – specifically US dollars. Some places are evasive, as the so-called “blue dollar” is technically illegal, but others will give a rate, such as eight per dollar when the official rate is 5.75. That makes a room rate of 616 pesos, which one Tucumán hotel quoted to me, US$107.15 at the official rate but only US$77 at the “blue” rate. That’s not the best available rate, as the blue dollar reached nearly 9.5 in Buenos Aires today, but it’s still a substantial improvement over the official rate. 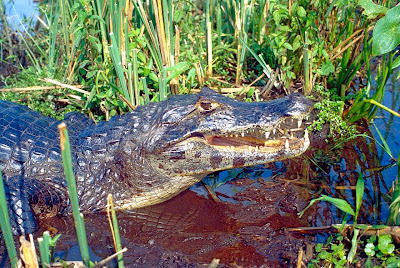 A friend of mine who operates a B&B in the popular tourist destination of Puerto Iguazú mentioned that the rate there was somewhere between 8.5 and 9 per dollar but, even at the somewhat lower hotel rates, foreign visitors can save substantial sums this coming summer at the front desk, without having to worry about finding a "cave" to change their money. 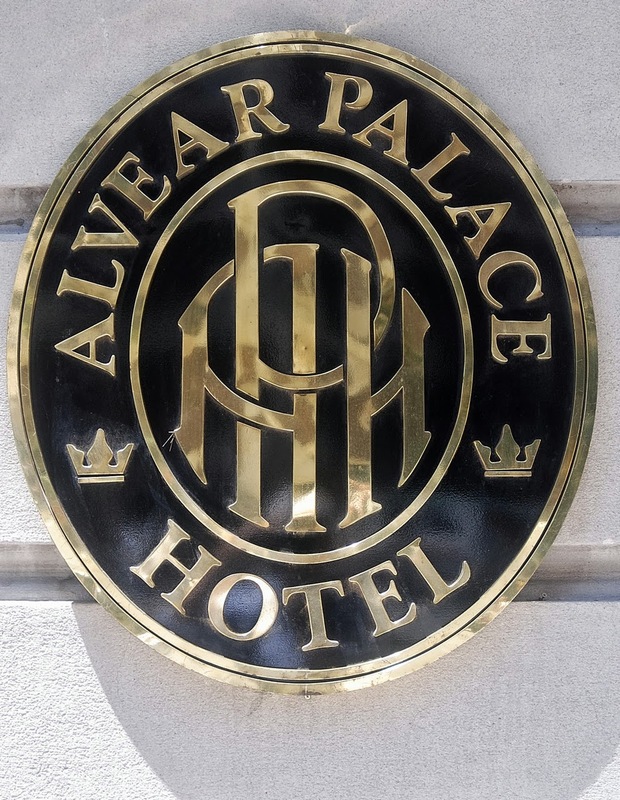 For Argentine hotels, there’s another economic advantage in doing so, as they can report their income at the official exchange rate while earning relatively inflation-proof foreign currency. This will probably not work at traditional elite hotels like the Alvear Palace, though - such hotels invariably post their prices in dollars. Stockholm of the South? The Santiago of Scandinavia? myself seated among a group of Swedes whose tour guide was a Chilean who, exiled after the military coup of 1973, had lived in Sweden ever since. Given my own Scandinavian origins – I had three Swedish grandparents and one Norwegian – I was curious how a Latin American had adapted to the notoriously dour Scandinavian society. 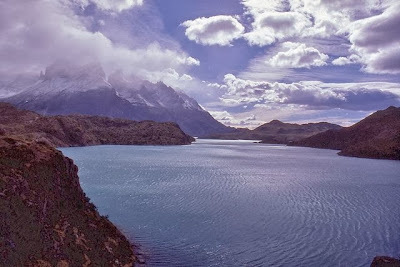 Throughout the Southern Cone, Scandinavians have a history, such as the Norwegian polar explorer Fridtjof Nansen and Swedish explorer Otto Nordenskjöld, whose great-grandson I met a couple years ago in Argentina; Lago Nordenskjöld (pictured above), in Chile's Torres del Paine, honors his memory. 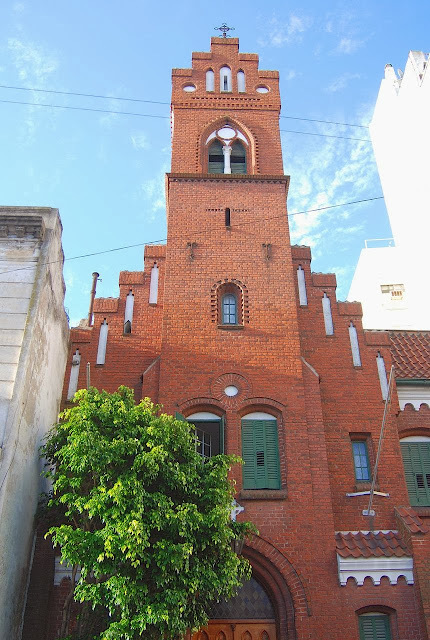 Some settled in Argentina, where San Telmo’s Dansk Kirke is a Buenos Aires landmark, the city’s Club Sueco (Swedish Club) is famous for its smorgasbords, and the seaside community of Necochea has a strong Danish presence. Recently, at home, we’ve been watching the Swedish police drama Arne Dahl, in which one of the main characters is Chilean detective Jorge Chávez, who suspects his Swedish partner Paul Hjelm of racism. Even though Sweden has welcomed many immigrants, that strain of xenophobia is a recurrent theme in many Nordic noir novels, films and TV series, such as Stieg Larsson’s The Girl With the Dragon Tattoo and Henning Mankell’s Wallander, in recent years. My Chilean acquaintance, though, said he had found it easy to adapt to Swedish life. In fact, he said, Swedes were not so different from Chileans, at least in their stoic public personae – both behave far differently in private. In public, Swedes’ default behavior is lagom – roughly translatable as “moderation” – but in private or in unusual circumstances, they can be more animated, and far more critical of employers and other authority figures. In fact, in the aftermath of the 1973 coup, quite a few Chileans took refuge in Sweden and many have remained. I have been to Sweden only once, a day trip to Malmö from Copenhagen some 40 years ago, but I’m planning to go for a couple weeks next May and June, flying to Oslo and returning from Stockholm, where I’ll be curious to learn more about the Chilean presence – and perhaps even enjoy a pastel de choclo at Sabor Latino before returning to California. 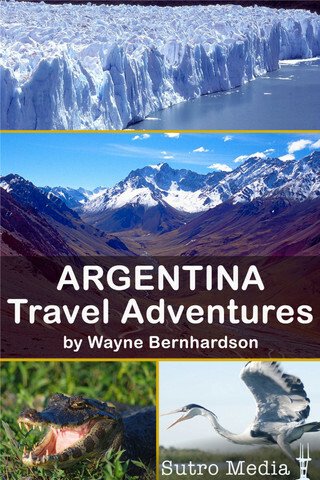 Some weeks ago, I reported on the updated version of my Argentina Travel Adventures app for both iOS and Android platforms. At present I find myself with several Apple redemption codes on the point of expiration and, thus, I would like to give them away to readers of this blog. With suggested itineraries, plus details of sights and services, it’s the ideal tool for planning for your vacation to Buenos Aires and beyond (including a suggested side trip to Uruguay). The app in question works on the iPhone, iPad and iPod Touch; if you already own the app, you can upgrade free of charge, so there’s no need to ask for a code in this instance. Unfortunately, Google Play does not allow promotional giveaways, so Android users are out of luck (though you Androiders can purchase the app for a modest US$2.99). Unlike my book giveaways, there will be no quiz, however simple, to determine the winners. All you need do is write me at the following email address: southerncone (at) mac.com. The first three readers to ask will receive the app free of charge. Please do so soon, as the codes will expire within a few days. Several years ago, after first discovering Uruguayan wines in a San Francisco event, I visited the Montevideo wine district as I incorporated coastal Uruguay into the excursions chapter of Moon Handbooks Buenos Aires. 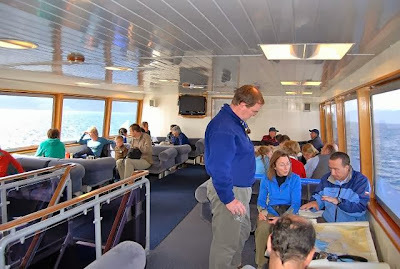 I also incorporated my experience into an article that appeared in the San Francisco Chronicle travel section, and have revisited the area several times, getting to know many of the local wineries and their owners. Not until Thursday, though, had they come to visit me – in a manner of speaking, at least. That is, for the first time in recent memory. After stops in Washington DC and Austin, Wines of Uruguay finished up a US trade and press tour in the Presidio of San Francisco with an introductory seminar and an extended tasting session with 15 different Uruguayan wineries, mostly from Montevideo with a couple outliers from Carmelo and the vicinity of Punta del Este. 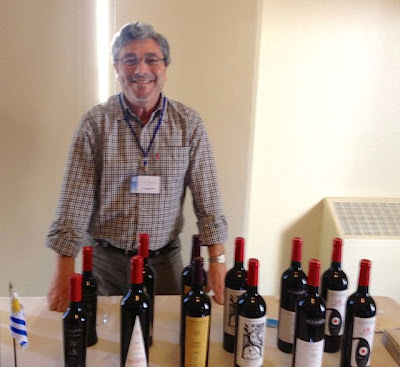 Of the 15, I had visited nine of them and, despite the elapsed time, most of their representatives recognized me immediately – Uruguay’s wine industry is a family affair, and all the tours I have taken were led by family members. 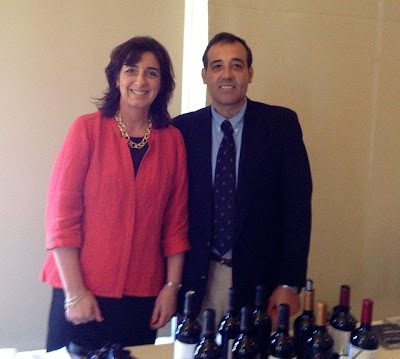 I have stayed in regular contact with winery owners like Carlos and Ana Pizzorno (pictured above) and Eduardo Pisano (below), who greeted me almost like a relative. 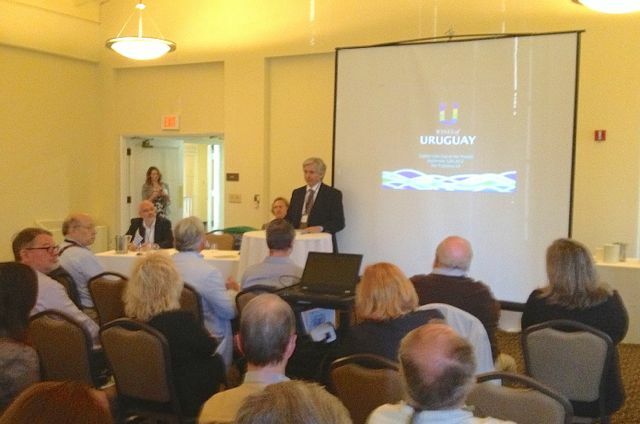 The brief seminar featured Uruguayan vintner Francisco Carrau, who has sequenced the Tannat genome, sommelier Gilles de Chambure, and consultant David Furer, all of whom helped put Uruguayan wines – most notably Tannat - in context. For an audience whose experience of the country was limited, there were general accounts of the country’s Bordeaux-ish climate and terroir, its soil diversity, the history of Tannat’s 19th-century importation from the French Pyrenees, and its appeal to high-profile winemakers such as Paul Hobbs and Michel Rolland. The presenters compared the Uruguayans with Oregon vineyards in terms of their hands-on production, rather than industrial scale (if I recall correctly, Chile’s Concha y Toro conglomerate produces more wine than all of Uruguay). Uruguayan wineries are family-owned, but innovative, offering some creative blends with Tempranillo and Pinot Noir, for example, and uncommon whites such as Albariño (most common in Spain’s Rías Baixas). They are upgrading their expertise at leading-edge institutions like the University of California at Davis. The Uruguayans may have a lower profile than their Argentine and Chilean neighbors, but they have a great deal to be proud of. I should be returning to the theme of Uruguayan wines, with more detail, in the near future. Who Is an "American?" What's In a Name?